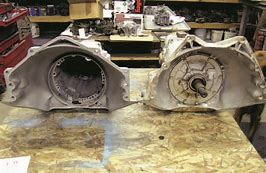 My question now is, if I were to get a rebuild kit it this something someone who has never rebuilt a transmission before attempt? I have seen it done before but have never attempted it myself. Is there any special tools or anything? At a local performance shop I noticed there is a book that looked to have a detailed step by step process of how to do this. I am just not sure if this is something I should attempt or just pay to have it done professionally. Have you checked the trans line pressures? This is how you determine a good from a bad trans. Low 3 gear hydraulic circuit pressure will point to a cross leak in that circuit. Definitive proof and proper troubleshooting techniques. Have you verified the governor and the modulator are working? Have yo verified the shift detent is actually shifting into all gears including D? Will it go into 3rd on the road manually shifting the car? Get the TH350 DVD on rebuilding or YouTube it.Think of an Automatic as nothing more than a hydraulic pump. So it needs the correct line pressures to operate correctly. It has seals, O rings, sleeve and other types of bearings, frictions/steels (clutch friction plates) gears etc...All of the consumable items comes as a kit. Upgrade and get a high end kit with high end frictions/steels. Yes some specific tools are needed such as a large snap ring plier, pump housing puller sleeve bearing remover/installer etc. Do the sleeve bearing kit as wel dont skimp here. Install a shift improver kit. Trans Star has everything you will need including their own shift imporover kit. You can go from mild to wild on the shift kit. The TCI stuff is good too but does not have the Trans Go patented separator/transfer plate. The Trans Go stuff is the "good stuff". When assembling a trans you need to be real clean, you the bench and the parts. The valve body valves need to be disassembled inspected and cleaned. They are all directional and need to go back in exactly as they were removed this also includes springs and check ***** etc.... The vid allows you to forward n reverse to get a good look at this operation(s). If this intimidates you find someone in your area that is ATRA qualified and knows the TH350. For someone who does this daily these things are simple and they will know ALL of the improvements and tricks needed to make a strong reliable rebuild. You could also step up to a re-manufactured trans from Jegs, TCI, Coan, Hughes etc...Then couple the TCI or what ever brand trans with a new higher stall converter. 500-1000 more stall depending on what your looking for? I assume mild street. I like TCI. You need to replace the converter and purge the cooler lines and radiator cooler before installing the rebuild or new trans. Dont buy a rebuild kit from summit or Jegs, all the fancy frictions and steels are a waste in my opinion. A standard rebuild kit (or Borg-Warner high energy frictions) are all that’s needed. There are some cheap (almost free) upgrades that can be done during a overhaul that will improve durability and performance if your interested. As noted, the 1960s GM automatics are pretty straightforward to rebuild. The trans comes apart in a set of "modules" - gear sets and clutch packs - and you work on each module individually. There are a number of similar but not identical small parts (snap rings, thrust bearings, etc) that you have to pay attention to so that you get them in the right places and don't mix them up. It's not difficult but it DOES require extreme attention to detail. I'll also suggest that you might want to consider getting a B&M trans kit. This is not a "shift kit", it's a total rebuild package with clutches, steels, seals, and bearings. It also comes with a very detailed and well illustrated instruction book. I rebuilt my first TH400 using one of these about 40 years ago, and despite never having done it before, it was a piece of cake. You can download a copy of this instruction booklet at the B&M website to get an idea of the complexity. Shopping around, it looks like I can get a shop to do it for roughly $900+/-. I have checked reviews as well as the people doing it and they claim 20-40 years with 100's or 1000's of these under their belt. I will get those instructions joe mentioned and watch some youtube videos to see if I can get my comfort level up. One thing I do have going for me is my neighbor is a Red Seal mechanic who works up in the remote north for weeks at a time fixing and maintaining the big heavy duty equipment. He says he has worked on transmission larger that some cars (probably sarcasm, but I get the point) and that small things like these are as easy as it gets for him. I hate to ask more of him since he has already agreed to do a rear gear change in one of my other cars this spring, but I guess I could always give it a shot and if I run into issues he could probably help me out. I will also have to do some more research into the kits and upgrades that can be done. I was just going to get a basic rebuild kit from Summit, but based on matts comment maybe that isn't the best route. Thanks to everyone for helping set me in the right direction here. I am eagerly waiting to see what the car runs like in the spring with the new intake manifold gasket (to hopefully finally fix the vacuum leak I have been chasing) HEI ignition upgrade and new dual exhaust system. Once all that is on, the timing is set and the newly rebuilt carb is tuned in it should be all set. And then having third gear will be a nice change too, lol. I have never used a B&M overhaul kit, but based on Joe's experience they do come with detailed instructions. So I will reconsider my previous suggestion. They are interchangeable as a T350 is a T350. The only concern is whether it has a BOP or Chevy bolt pattern. I think some may have a universal pattern for both. Ok, that is good news. I thought maybe newer ones would have more electrical stuff of maybe not have the same vacuum connection or different gear ratios or something. I will see if he can send over a few pics specifically from the angles you have shown to be sure it is the right bolt pattern. Thanks! Check the bell bolt pattern and the tail shaft length. An '81 may also be a TH350C with a lock-up torque converter. Confirm that it isn't a TH250C, you don't want that. TH250C's have an external band adjustment. It looks like a short treaded rod with a locknut on the passenger side near the dipstick/fill tube. There are several design changes from 1969 (when the 350 came out) and the 83ish (whenever production ended). Some of the changes include the elimination of thrust washers and replaceing with bearings (which also includes design changes to whatever part have the thrust washer), diffence in drives shell, some valve bodies have a “S” shaped link between the manual valve and the “rooster” comb, others had a “Z” shaped link, I’m sure there are other design changes, those are the ones I can think of of the top of my head. Most parts can be interchanged if all the required parts are included. You can replace a thrust washer style pump with a later pump that has a bearing, but you can’t simply put a bearing on a thrust washer style pump. As long as you replace a part with the identical item, you will be fine. Ron Sessions has a really good book that detailed all the design changes, maybe you could find a copy. Dont let all the psrt confusion scare you from attempting this. Just pay attention to whatever you replace, and ask questions. IMO if you're going through all the trouble of replacing the trans with an unknown used unit you are wasting your time. Just get the OEM rebuilt. You'll be happier in the long run as you will have a "new" reliable trans with a known history. With any new or rebuilt trans, it's good practice to install a cooler (properly plumbed is key). I like the clear ATF from TCI. Consider changing the fluid/filter after 500-1K or so miles. Just good cheap ins. Some of the design changes were made because it’s cheaper to manufacture, others to either make it lighter or to aid fuel economy. One of the changes I forgot was making the pump gears a little thinner, reducing pump volume, resulting in a slight increase in fuel economy. If something is worn out or damaged, replacing the part with the updated part can help every so slightly at the track, or st the gas station. I seemed to have stopped getting notices when posts are made here and didn't know there were more. I was able to confirm that it was a chevy trans, but after thinking about it I thought along the same lines as drolds above that I would rather have the original transmission rebuilt so that I know what is in it and when it was done rather than a used transmission with the unknown history. On top of that I wasn't too excited about having to get that adapter plate to make it fit. Whether I get the rebuild kit and do it myself with my neighbors help or just take it in to be professionally done I think I would be happier knowing that it is new and done right and shouldn't need to be taken off again for a very long time.... hopefully, lol. Hi everyone, I have an update which of course leads to another question lol. I have the transmission off and in my basement, taken all apart right down to the bare case. The "modules" still have to be broken down and rebuilt, but I am following the instructions in the TH350 rebuild guide by Cliff Ruggles and haven't gotten to that part yet. I am basically on the page where he is pressure washing the case off. I have labelled zip lock bags all over the place and all the pieces have been carefully placed on the table in the order they were removed. I also have a lot of pictures taken throughout the disassembly. So far so good I think. The only thing that my inexperienced eyes have caught that was an obvious issue is that one of the 17 springs at the low/reverse area was broken. It came out in one large piece and two small pieces. What kind of issues could this cause in terms operation? It says it fits anything from 1969-1986, but it was noted in the guide that in later model with springs are attached where mine are not. Would there be any issues replacing mine with one that has them attached? The only visible difference I can see is that the face of mine was smooth where this one has holes where the springs attach on the other side. I also noticed that the valve body gasket was basically like plastic where the new one looks to be paper like and flexible. I don't know if this is normal or maybe the old gasket just became brittle and was causing leaks. Other than that nothing looked obviously broken or worn out so far, but maybe I will find more once I get those modules opened up. One thing that I saw and thought might have been an issue initially was on the valve body side of the case, there were what looked like two large broken holes right near where the shifter linkage connects. I thought they were not supposed to be there because the edges seemed fairly jagged, but after looking around it seems like they are all like that and it would be really strange for something to punch a hole of those shapes in those spots. There was also no debris or metal in the case. I can post some pictures later, I just don't have a way to connect my phone to the computer right now. Last edited by 71OldsCut; March 3rd, 2019 at 02:08 PM. The 350 trans originally used desperate springs and a stamped steel retainer, the newer updated part has the springs retained to the spring retainer. If I recal, the parts will interchange. I’m sure the one peice spring/retainer part change was a cost reduction change, it would take far less time for the guy on the assembly line to instal one part, instead of all the seperate springs and the the retainer. Last edited by matt69olds; March 5th, 2019 at 06:09 PM. Thanks, that is good to know. 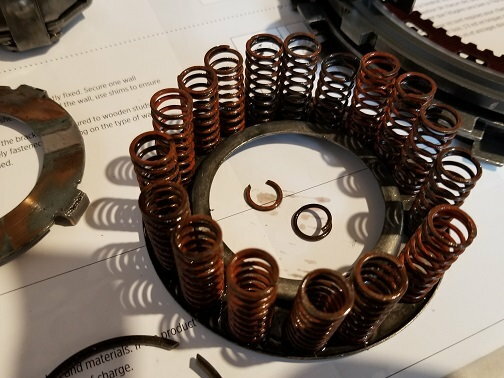 It looks like if I have to get a whole new cage/spring assembly it won't be that expensive, but I called a transmission place near by to see if they maybe had some of these springs laying around. He said probably, but I would have to bring one down to be sure it is right. Hopefully they have one that works. If not I will try to get that one off Ebay. Here are some pictures if that helps at all. For the jagged holes that I was concerned were maybe not supposed to be there - looking through the book I found a few pictures and can see a couple of them that look the same as mine, so I think they should be there, hopefully. The last two pictures are looking through the holes from either side. The jagged holes are just casting flash around vent holes. Nothing to be concerned about - unless there are pieces of that flash that are loose and easily broken off. If it bothers you, you can lightly hit the edges with a die grinder to clean them up - obviously on the bare case before you clean it. Thanks Joe! That is a relief. From the inside the jaggedness made it look broken, but looking from the outside it seemed like they should be there. Onward with the disassembly and rebuild! Yeah, I went through the same thing the first time I rebuilt one. How do you guys clean the empty case? From what I can find it sounds like Superclean Degreaser in the purple bottle is preferred but I cant find any specifics about exactly what to do. Is it safe to cover the case in and out then just pressure wash off? I have read a lot about mineral spirits and brake cleaner because they dont leave residue behind and was wondering if the inside of the case should be treated differently than the outside. I would just hate for all this work to be for nothing because I screwed something as seemingly simple as cleaning the case up, lol. I have a question about the forward clutch pack reassembly - the rebuild kit looks like it came with new steel pieces that alternate in with the frictions, but when comparing them with the steels that came out they look to be different and the book I have doesn't really talk about it at all. 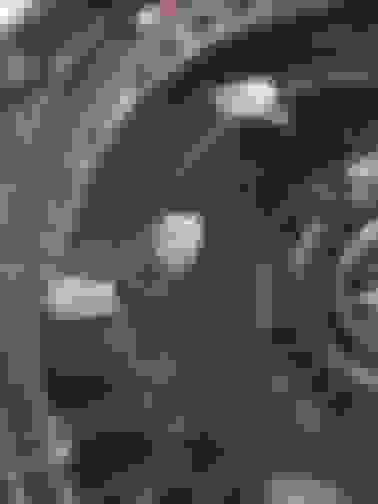 The steels that came out have a "tooth" every roughly 1-3/8" all the way around, but the new ones in the kit seem to be missing these "teeth" in certain spots. Is this some kind of an improved design and I should use the new ones or should I just clean up and inspect the old ones for reuse? If I am to use the new ones, how do you know where the missing teeth should be? Compare the thicknesses of the old and new steels. GM used missing or notched teeth to signify different thicknesses. Typically you are supposed to measure the clearance between the assembled clutch stack and the end plate. I've had to mix and match old and new sometimes to get the right clearance. Note that the aftermarket ones may or may not use the same "notch" convention as OEM. A micrometer is a better method. The location of the missing tooth doesn't matter. Thank you Joe. I just checked and the new ones actually for the most part seem thinner than the old ones. They range from 0.065" to 0.068" where the old ones are 0.066" to 0.072". So basically as long as the are clean and in good shape using the old ones is fine - the critical part is having the correct gap when installed, which the book says factory setting is 0.020" to 0.040". So if the teeth don't matter, in your opinion is it better to use the new ones if possible, or as many of them as possible? I was thinking of using all the new ones and if it falls within spec then call it done, if not replace some of the new ones with the thicker old ones. Exactly. If you do reuse any old ones, be sure to deglaze the surfaces. I used 320 wet-or-dry paper with a few drops of ATF on a flat surface. You can reuse the old steels so long as these are not blued, cracked or warped. Is the number of fiber/friction plates in new kit same as old? You may have to use a combination to get final clearance to the pack retaining ring to spec. Aftermarket often adds extra plates of lesser thickness to increase number of torque carrying friction surfaces. Once you have your stacks built and assembled into drum and shaft, test the piston seals using air pressure at the shaft ports. It is real easy to skive a seal lip during assembly resulting in a leak. Sounds good. At first look they don't have any blue color but I will clean them up for a better look tomorrow. 5 friction plates came out and the kit has 9. I recall reading that the next part that has a similar rebuild process has 4 so that all adds up. I have read about the air pressure test. I am not 100% on how it works or what exactly to look for. I was going to look further into that when the parts are back together. Would I need to fire up the compressor with the blow gun or would a can of that compressed air for cleaning purposes be sufficient for this test? You'll need a compressor and the blow gun with the rubber tip. The clutches apply under pressure and are spring release. So you have to be able to overcome the force of the springs. You need the rubber tip to seal perfectly to the shaft. You want to be able to depress the trigger and listen for air leaks without the blow gun tip being noisy. 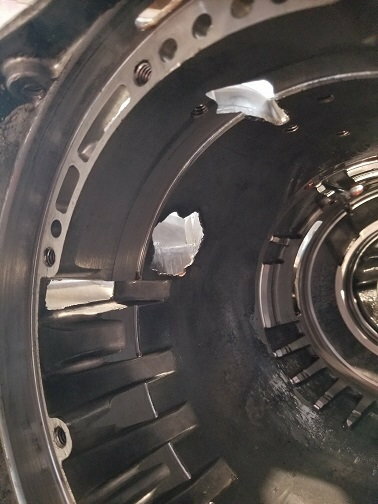 A little leakage between where the shaft presses into the drum is okay, but you must have zero leakage at the piston seals or clutches will slip and burn up in short order. When you took the trans apart, did you notice any damage aside from the springs? Burned frictions? Also, those splines (low/reverse) in the back of the case should be deburred if worn. The plates can get hung up on the worn areas and cause problems. A file on the spline corner/edge will normally do it. 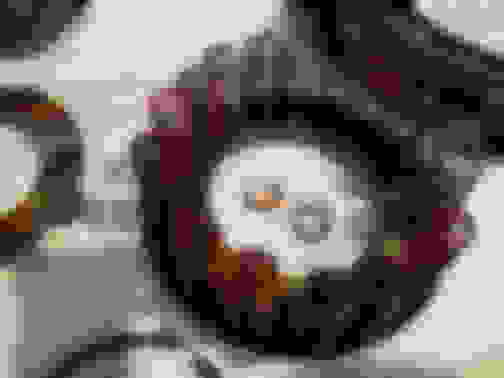 Last edited by bry593; March 16th, 2019 at 08:35 PM. So good news - I was taking apart the direct drum assembly, and after taking all the springs out and lifting out the part the springs sit on, both the inner and outer seals were completely screwed up. I m guessing that the last person in there didn't get the lip seals installed right. Looking at the troubleshooting section of my book, one of the reasons he lists for not hitting third gear is direct clutch seals missing or damaged. So I am fairly certain this is the cause, now I just have to do a better job installing the seals than the last guy and third gear should work. I am just relieved to find something obviously wrong, and in the exact area listed that could cause the problem. So far I have not noticed anything else other than that spring. The frictions seem to be in good shape, the steels are not worn or blue. Some of the seals have seemed hard or plastic like, and the valve body gasket was hard and brittle too. But the main thing has been the seals listed above, which hopefully were the issue. 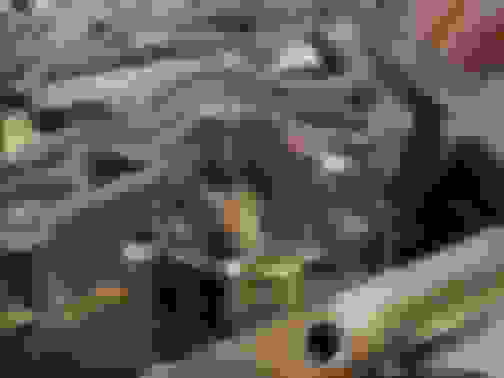 Last edited by 71OldsCut; March 17th, 2019 at 10:20 AM. Great job so far, I love this thread, at first you were going to buy a used or rebuilt trans and then decided to do it yourself- GOOD ON YOU! I think you also did just find your problem. I am by no means a transmission guy but I rebuilt 2 Turbo 350's and a Chrysler Torque Flight just like you are doing, slow and easy and with a little help from your friends! You will be so proud when you get it back together and it works great. Good work. Yeah, transmissions seemed scary to work on without experience but with the help of the book and online resources like this one it really isn't too bad. I am happy I decided to take the plunge and give it a shot. Considering the rebuilt kit cost about $180 and the materials to make the compressor tool and a few other tools I am in it for about $300, and the alternatives would have been bolting up a used transmission with unknown history or paying $1000+ for a professional rebuild I am very happy so far. I am calling it quits for this weekend, but next weekend will get the compressor going to do the seal test. Hopefully I got that right. The first drum was fairly easy and I am confident with that one, but the direct drum was more difficult. But, better to find out that I screwed up now rather than after it is back on the car and full of oil. Anyway, thanks to everyone for all the help so far. It is much appreciated. Before I bought a jet wash machine I used lots of power purple and a stiff bristled brush to clean the crid off, then a hose to rinse it off. A pressure washer works also. Or, take the parts to a transmission shop, hand them some cash, and ask them to wash them. It the middle of winter I have done that. From the factory, the direct clutch had 4 frictions, the forward had 5. You can machine the direct piston to add a 5th friction for heavy duty use. Good luck. The TH350 is a good learning trans. They are pretty easy. I ended up taking mine in the trunk of another car into the car wash and hoping no one noticed, lol. I know I wasn't supposed to but was out of options. I just sprayed it down with that supper clean stuff, gave it a quick scrub and then pressure washed it off... and repeated that process a few times. It probably isn't clean enough to paint, but it got all the dirt and caked on dirt off which was all I really wanted. I should have the pressure test done next weekend and if that goes well it should be ready to put back on the car in the next weekend or two. Then exhaust, intake manifold gasket, distributor, plug wires, timing and fuel mixture settings and I should be ready to go, lol. We are finally back above freezing for the daytime temps here so the pressure to get it done is on, snow will be gone soon and it will be time to get the nice cars out. I was hoping you'd find something to explain why the trans failed. Good work. The most difficult things in the whole transmission are the snap ring in the back of the case and the rear case bushing. But not too bad if you have tools. How did your vane pump housing look? These are often scratched/scored pretty bad. There's a shop in AR I use that machines these to new. Simple exchange of your old housing. Can supply seals, higher rate spring, rotor and vanes. The price is reasonable and the quality of work excellent. I'll have to dig up the number for you. I haven't gotten to the pump rebuild yet. Hopefully everything in there looks OK. I was reading that section in the book yesterday and he did note that some minor scratches are OK and can be "buffed" out but larger or deeper scratches may require addition attention. I am finding that same thing - it is all so far fairly simple but there have been a few snap rings, bushings and lip seals that had me using some bad language, lol. The snap ring and the low/reverse area was pretty aggravating. The compressor takes up a good bit of room, and I didn't have the right set of snap ring pliers. If I had the kind that are at that slight angle that would have allowed me to get on the ring straighter it wouldn't have been bad, but all I have are the straight kind and getting under the splines to actually get on the snap ring was really difficult. I would have been more than happy to run out and buy them, but as usual we have nothing locally and I would have been waiting a week to order them online. I am looking forward to getting that air pressure test done. I really hope I got those seals in right and that they are not damaged. Minor scratches in the pump and gears are no big deal. Check for a lip cut into the crescent part of the pump cover, if there is a lip cut into it the pump is junk. Be sure to either match up the casting numbers when getting a replacement, or make sure the pump and covers are compatable. There are several different casting numbers with 400 pumps, I don’t recall if 350 are the same (aside from the obvious bearing or thrust washer types). Ok, I will remain hopeful that it doesn't need to be replaced but it is good to have the info in case it does. I actually got more done today after work because that spring that I was waiting on showed up. I got to where the shell gear piece went in, then the planetary that the snap ring locks in. I don't know why, but there just isn't quite enough room to get the ring to seat. It is so close, just needs a hair more. I got frustrated and figured I will leave it for now. I find when I get stalled out with something like this if I take a break and think about it for a while I get it easily next time. Hopefully that is the case here. Alright, showed that snap ring who's boss, lol. I am basically at the point now of pressure testing the two clutch assemblies. The book shows to do this by putting the pieces together in the pump and blasting air through the pump passages which seems easy enough. However, he shows doing this step before rebuilding the pump. Is this the best way? If there is a leak in the pump wouldn't that make the test possibly have false results, or at least make finding the leak more difficult? I was wondering if there would be any harm in rebuilding the pump first and then doing the test. Or, perhaps there is a way to test each piece individually? Build the pump. You don’t want to push the old nasty fluid that almost certainly hiding in the pump into your fresh, clean parts.